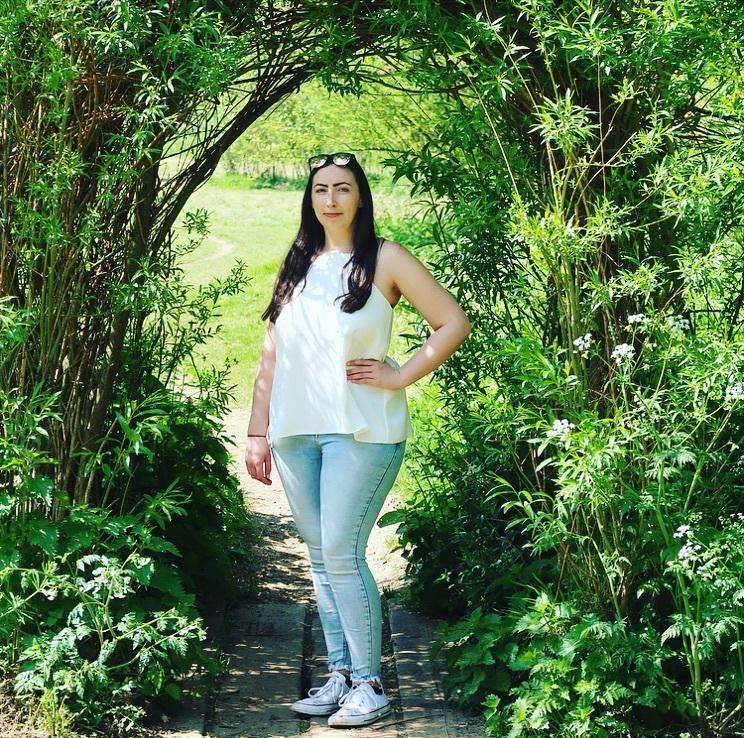 I love Christmas and the traditions that go along with it, decorating the tree, Christmas dinner and Christmas jumpers are among my favourite traditions. There’s nothing that says bring on the Christmas cheer than a cute festive jumper. Over the years I have had my fair share of seasonal jumpers but I think this years jumper might just be my favourite! 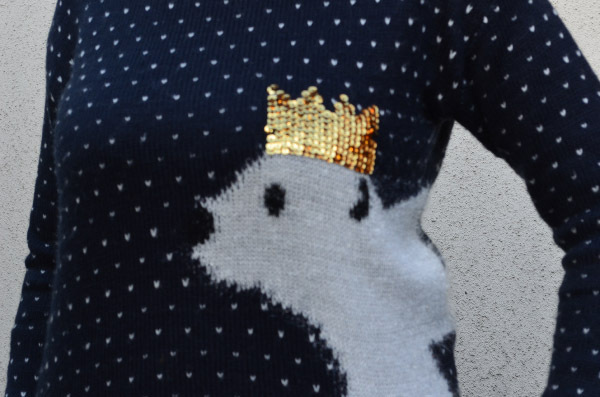 This year I chose a gorgeous Polar Bear Christmas jumper* from New Look. 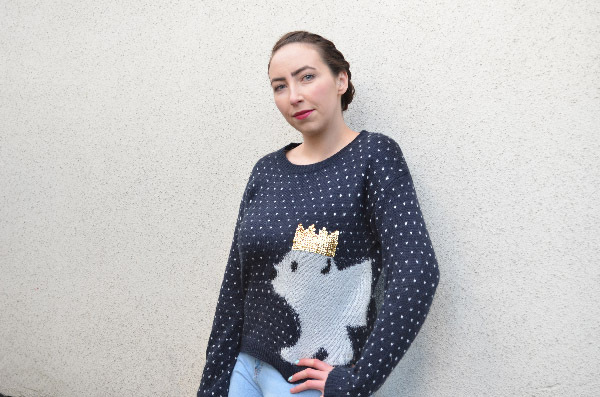 The navy jumper has a cute polar bear design with a gold sequin crown, it’s a warm jumper that is perfect for the winter months. 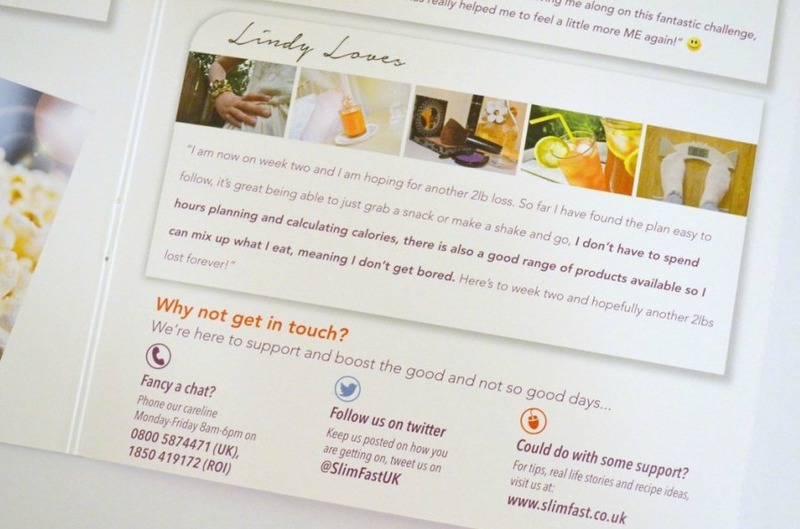 One of the reasons I chose this design is because it’s Christmassy and quirky but not over the top. It’s possible I could be wearing it well into the new year, and beyond! If you’re after a Festive jumper this year you really are spoilt for choice. New Look has a great selection and a lot are reduced in price at the moment. I have my eye on a lovely fluffy reindeer jumper which I saw in-store, it’s incredibly soft and is one of the jumpers that’s on offer at the moment so I’m really tempted to treat myself. 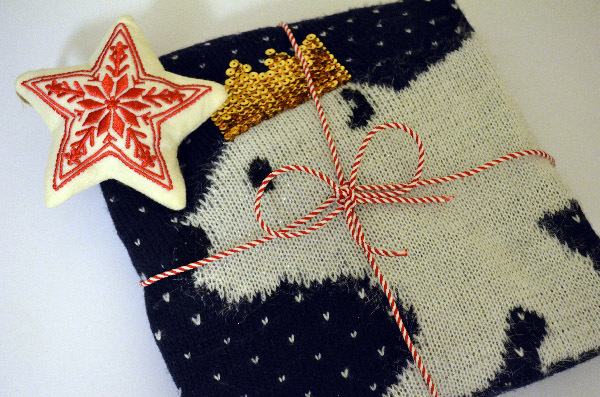 Christmas themed jumpers are festive, fun and buying a new one each year is becoming somewhat of a tradition. 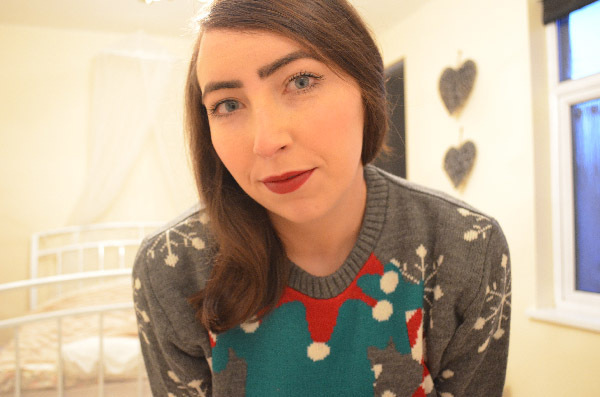 I have a couple of Christmassy jumpers, a pink fluffy one which is really warm and that I wear throughout the year as it’s not exclusively a christmas jumper and a cute elf jumper which I love (pictured below). I think it’s great that more people are donning their christmas jumpers and getting into the christmas spirit, christmas jumpers are no longer just for kids! I can see my collection growing vastly over the next couple of years as there are so many festive designs available. Do you love Christmas jumpers? So cute! I need to dig out my jumper.